Name this folder: AVP_DVD. This will be the name (Label) of our DVD. 2) Inside this AVP_DVD folder create another 5 folders. 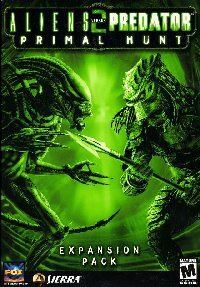 3) Copy the Aliens vs Predator 1 CD to the AVP1 folder. 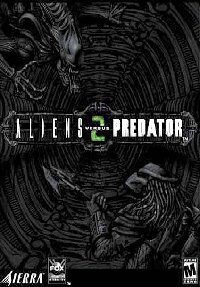 4) Copy the Aliens vs Predator 2 CD1 to the AVP2 folder. 5) From the Aliens vs Predator 2 CD2 copy the â€˜DirectXâ€™ and the â€˜Gamespyâ€™ folders to the AVP2 folder. 6) Also from CD2 copy the â€˜data3.cabâ€™ file to the AVP2 folder. 7) Copy the Aliens vs Predator 2 Primal Hunt CD to the AVP2_PH folder. 8) Create another 2 folders inside the â€˜Updatesâ€™ folder. Name these 2 folders: AVP1_Update and AVP2_Update. 9) Copy the AVP_Build98_Update.exe to the AVP1_Update folder. When using the update AVP1 button on the Custom Menu it will open a window for you to choose the location to extract the files too. Choose the location where you installed AVP1. This will update the game. 10) Copy the AVP2_v1096 Update to the AVP2_Update folder. Rename the file to AVP2_v1096_Update.exe. NOTE: Clicking the AVP2 Update button on the Menu will start the actual Update so the file MUST be named AVP2_v1096_Update.exe. 11) Create another 3 folders inside the ”Cracks” folder. Copy the correct NoCD cracks to these folders. 12) Download my AVP Custom Menu here. View the Menu here. Extract the contents of the AVP_DVD_Menu.rar file to the AVP_DVD folder. NOTE: At the end of the AVP2 install you will be prompted to insert Disc 1. Just Press ”OK” to continue. Do this conversion on a DVD-RW first to make sure you have it all correct! If the File names etc are not correct the Menu Buttons will NOT work! END NOTE: I would like to thank â€˜PSIONICâ€™ for his excellent artwork used as the Menu Picture.